Extending our much-celebrated riverside promenade past 9th Avenue SE to Victoria Park, RiverWalk Stage 2 will add two more kilometres to the pedestrian and cycling pathway described in the 2008 RiverWalk Master Plan. This project is being planned under the context of the Rivers District Master Plan. Since its opening in fall 2010 and its completion in September 2012, RiverWalk Stage 1 has become one of the city’s best-loved public spaces. Calgarians use it year round for recreation, commuting and socializing. 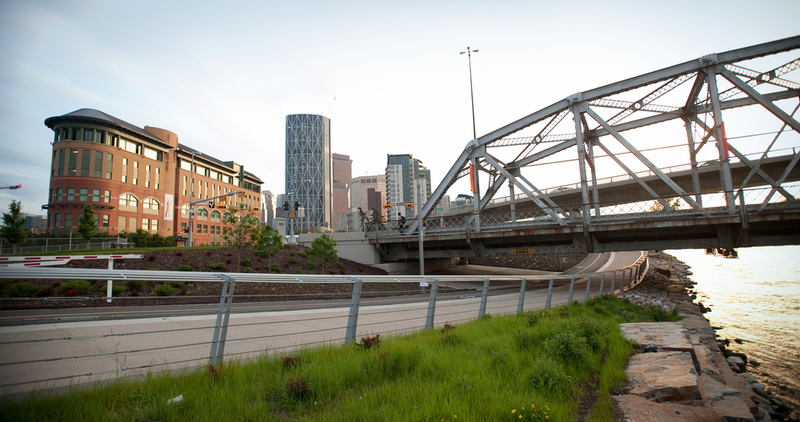 From an initial phase between Riverfront Lane and the old St. Patrick’s Bridge, RiverWalk has grown to two kilometres along the Bow River’s edge from Centre Street to Fort Calgary and along the banks of the Elbow from the confluence to 9th Avenue SE.